I’ve been in Seoul for 4 weeks and until now, I’ve been cooking using only one burner. So far, I’ve made things like kimchi fried rice, chicken soup, pasta with rose sauce, rice cake stir fry and lots of pancakes. Yesterday, I received the oven I ordered off g-market (a Korean ebay) and I can finally start baking. 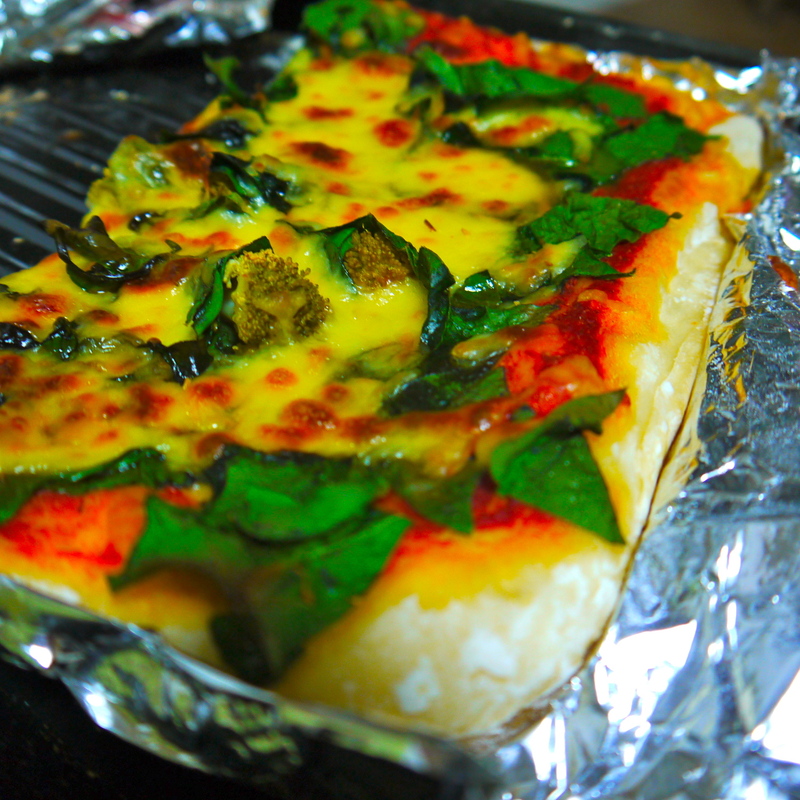 To placate my cheese cravings, I made pizza. At home, I would probably buy a pre-made crust and make the sauce myself. But here I have to do the inverse, because canned tomatoes are hard to come by and there isn’t a market for pizza crusts. 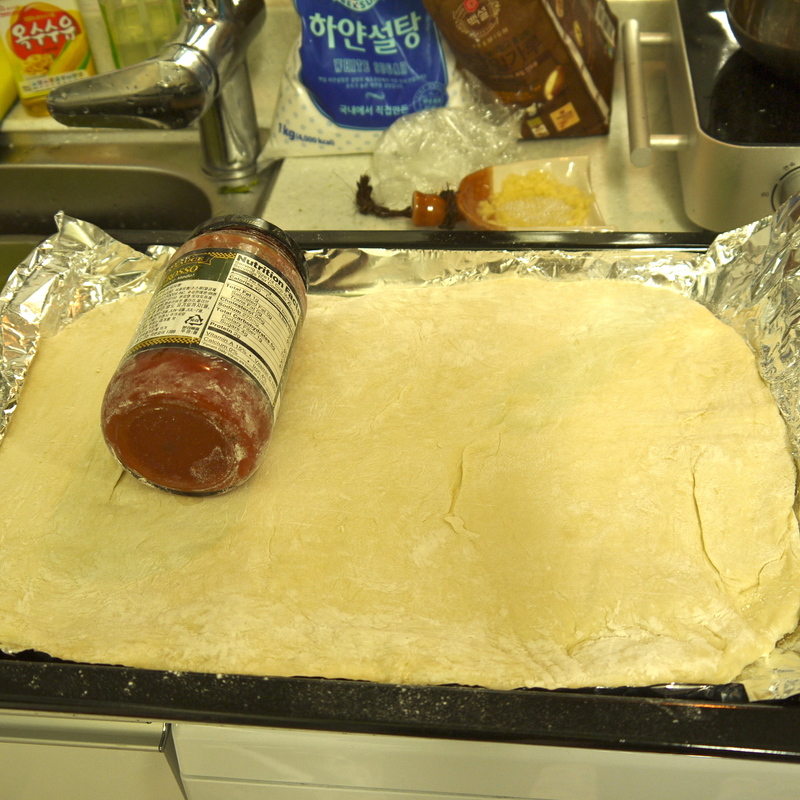 Since I didn’t have a rolling pin, I flattened the dough with the pizza sauce jar. 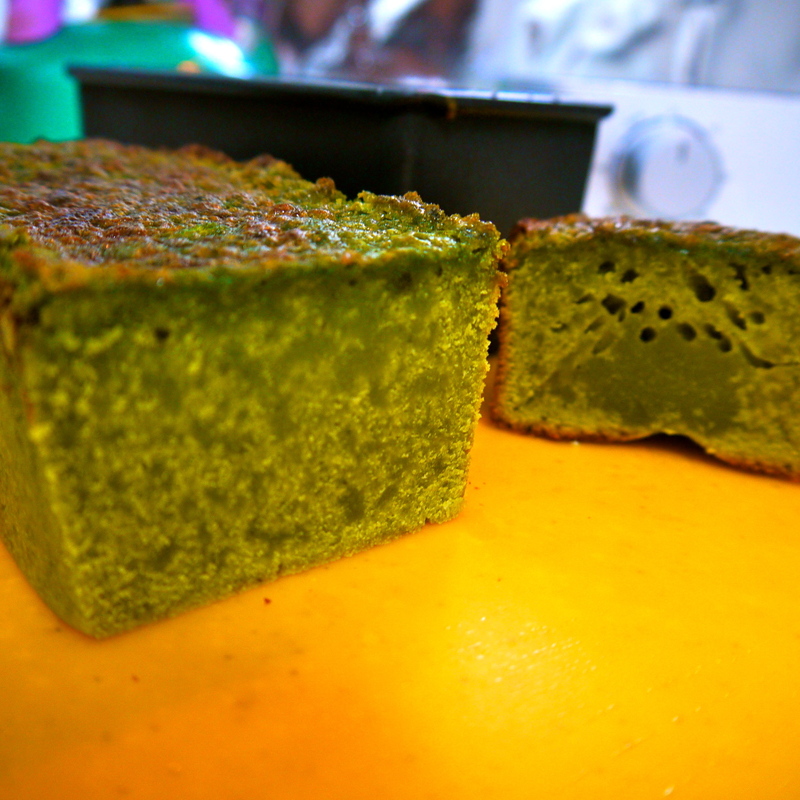 I also couldn’t resist making a green tea mochi cake, which I ended up over-baking. Still quite tasty and gelatinous though! This entry was posted in baking by sugarandseoul. Bookmark the permalink.